I run the Research and Development program for an organization conducting Special Operations in a joint environment. I have been in the program for 17 years and counting. Been stationed around the world and have fought on most of the continents in some form or fashion. The products on ironwear are perfect for us to train with. Everything from hand to hand combat, obstacle courses, shooting, climbing, swimming, and parachuting. Yes even for that. 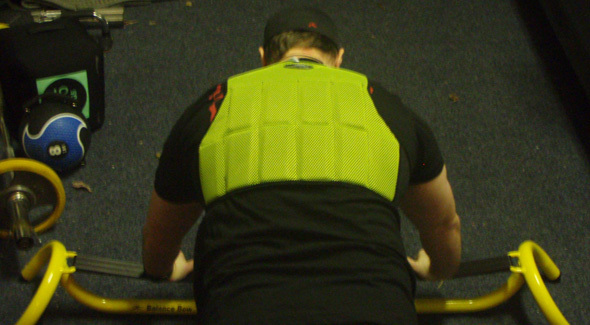 If guys have to add weight to fall at the same rate as others they use the training vest or belt. My personal use is overcoming a traumatic injury I incurred while operating overseas. Between the balance bow and the weight vests I have been able to slowly gain my conditioning back. My unit uses Mark Twight's "Gym Jones". It's a hybrid form of crossfit on steroids. Visit the site if you would like more info.